Burdock, Yellow Dock, Sarsaparilla, Elderberry and Hydrangea Root. Burdock: Blood purifier, liver cleanser and kidney cleanser. Yellow Dock: Blood purifier, liver cleanser and kidney cleanser. Hydrangea Root: Breaks up calcification. Natural Iron Power is a combination of herbs used to clean the blood, kidney and liver. These herbs provide a general cleaning which helps to relieve pressure placed on upon the body by the body's nutrient delivery system (your blood) compromises by pathogens and toxins. The pathogens and toxins are circulated throughout the body, which compromises the health of your entire body. The blood is also compromised by an unbalanced water-to-electrolyte ratio, which compromises the electrical activity in cells throughout the body. By strengthening the liver it supports the livers ability to effectively remove pathogens and toxins from the blood. By strengthening the kidneys it will support their ability to effectively balance the electrolytes and water in the blood. This combination is similar to the main ingredients in Dr. Sebi's Bio Ferro. 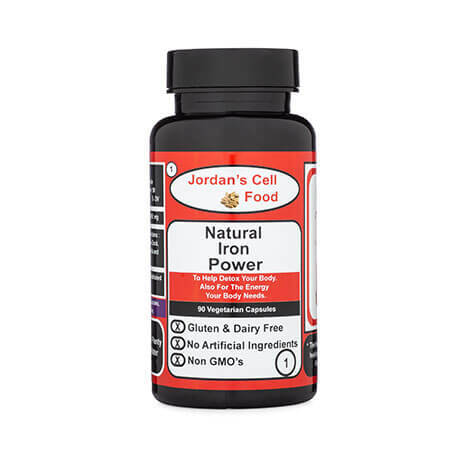 Natural Iron Power can be used by itself as a general cleanser or with other herbal combinations. The more combinations that you use together, the more you will cleanse the entire body down to the intracellular level.